We need to choose the design for the logo labels (the label typically at the back neck of the garment) for the line and need your help! Please have a look at the 8 options below and vote on the best looking one. 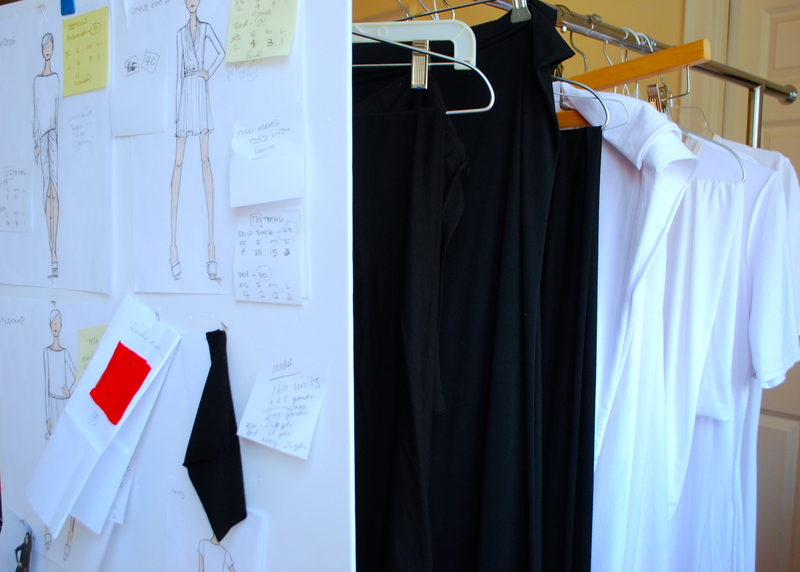 Fabric choice is the most important and elementary choice in developing a garment (well, besides good taste). It literally is the thing that makes up the garment. 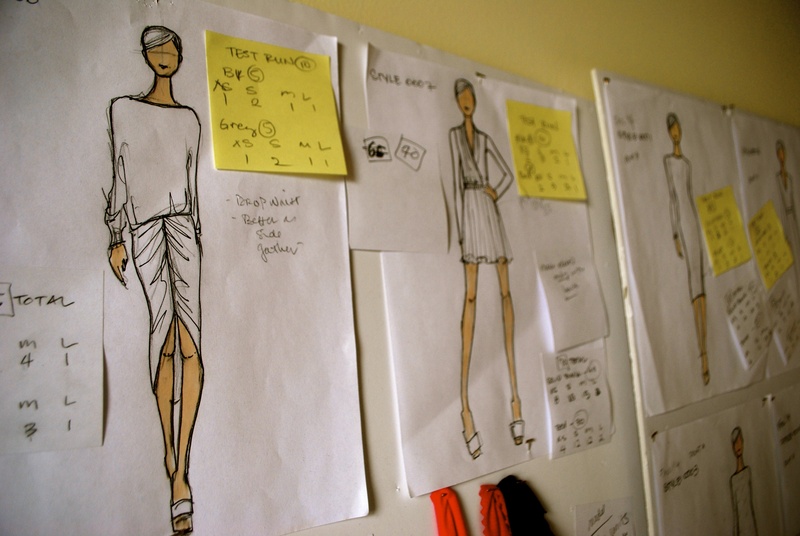 The choice of fabric also defines the garment development process. It will determine the style lines and cut of the pattern. It determines which factory one chooses to make the garment. 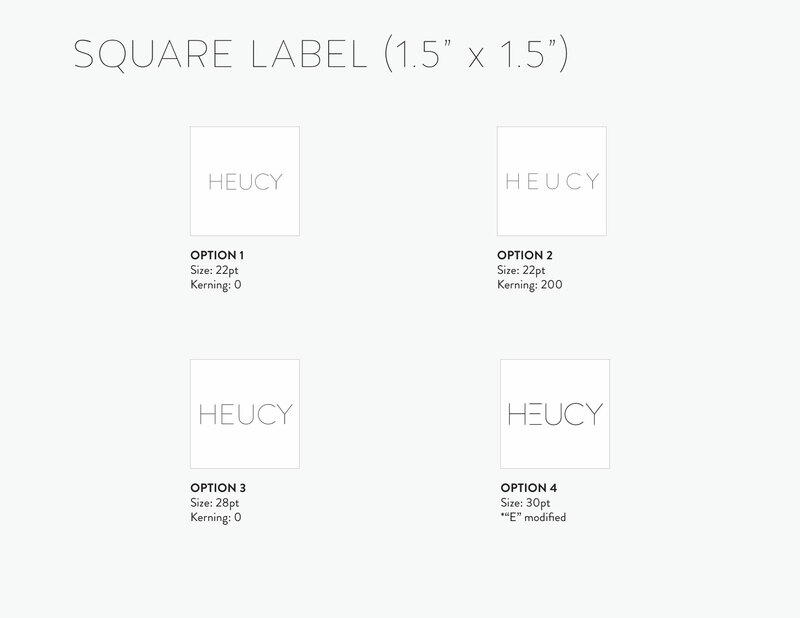 So the HEUCY signature fabric is – drumroll please – Jersey! There are so many different types of fabric, but jersey is a natural choice for HEUCY after going through the following analysis. Can the minimum requirements for production be met? Can it be handled and produced into garments at a reasonable price point in the US? Is it versatile in wear? Can it be washed as opposed to dry-cleaned? Is it made of eco-friendly fibers? The fabric that checked all these boxes was Jersey. So we sourced swatches from mills across the country and as well as from Canada. Then we narrowed the choices down and requested test yardage from a handful of mills. The test fabrics above all look the same you say? Well, they kind of do on-screen here, but they all have a different weight, different content, different stretch, different drape, different method of dye, different country of origin, different wholesalers. So on to testing, testing, testing to determine the best jersey for the styles sketched and in development. Good thing I am Asian – I am good at tests. 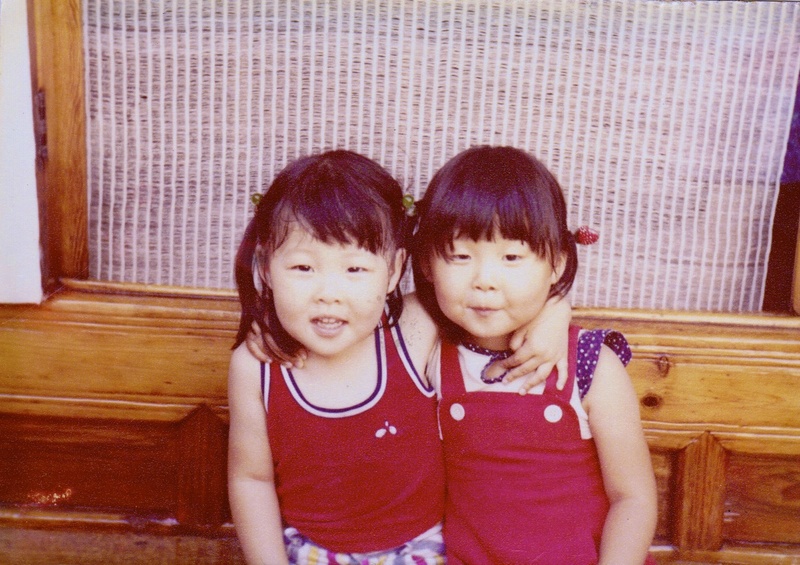 I am an import (pictured above with my sister, I am on the left rocking out an outfit that would make a male Brooklyn hipster jealous) – landed in JFK in 1983. It’s not that I don’t appreciate products (or people) made in other countries. But here are some things I have learned along the way. Hauling fabric and trim from one continent to another to test/sample and then to another to manufacture and then back to another to sell is 1) expensive and 2) involves lots and lots of fuel. 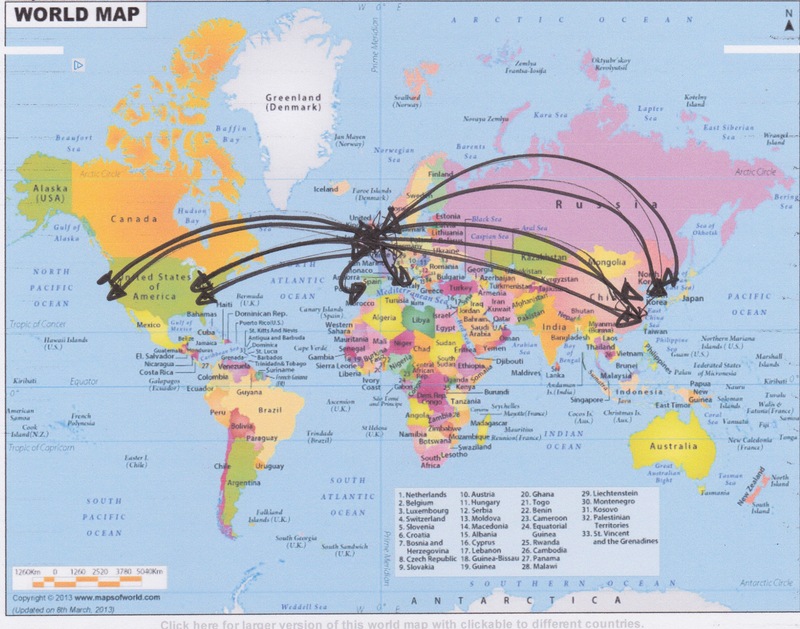 This my very scientific accounting of all the air travel the fabrics, trim, garments and accessories went through. But seriously, all this transport drives up the cost of these items sold to the customers (that’s you!) and it is killing a family of whales as we speak. I am no expert on exactly how much damage all this moving things back and forth around the globe is doing (despite my four years of Patagonia wearing, recycled college issue insulated mug carrying days at Middlebury College, the hotbed of all things environmentally responsible) but I do believe that well-made chic garments can be made without doing so much harm. Hello friends, family and other interested people out in the cyber world! I am starting this blog to share my journey of building HEUCY – a new fashion label that aims to make effortless, chic, versatile and sustainable clothing. I want to share this process of building the company and setting up for the launch of the official HEUCY website and webSHOP with like-minded clothes horses out there. You might be friends & family (who have no choice but to read!) or someone who is curious about how one starts a fashion line. The good, the bad and the often ugly behind the scenes look at how to get things off the ground. I have been in fashion for 8 years. I started out by jumping head first into my first label “s u w h a” after relocating to London from the U.S. After 4 years of great ups (amazing stockists like Henri Bendel and Holt Renfrew, features in Vogue on both sides of the pond, sponsorship by the British Fashion Council) and downs (hello financial crisis of 2008) – I learned lots of lessons about the industry as the little engine that could. 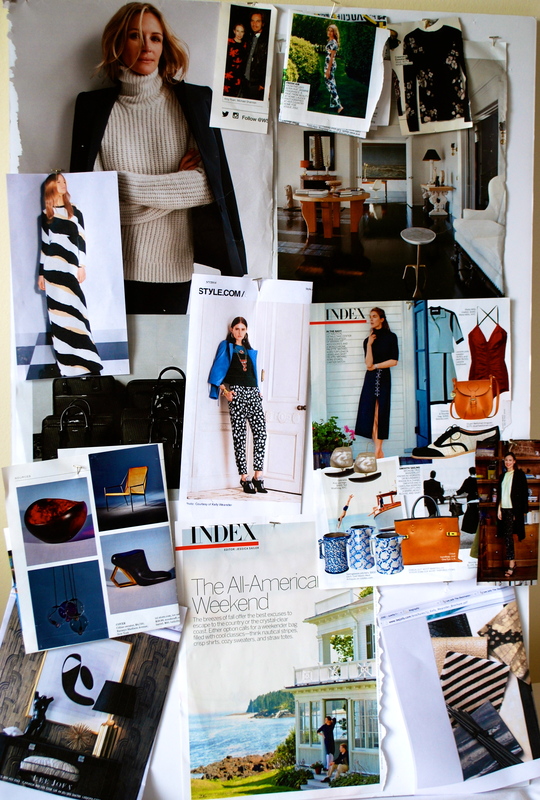 Next up – I moved back to the U.S. and worked as creative director for Cynthia Steffe, an established contemporary womenswear label with wide national reach. Again, I learned so much about the industry and this time as the big engine that can. But after nearly 2 years, I hit the stop button – I felt the itch to build my own again. This time, simpler and truer. 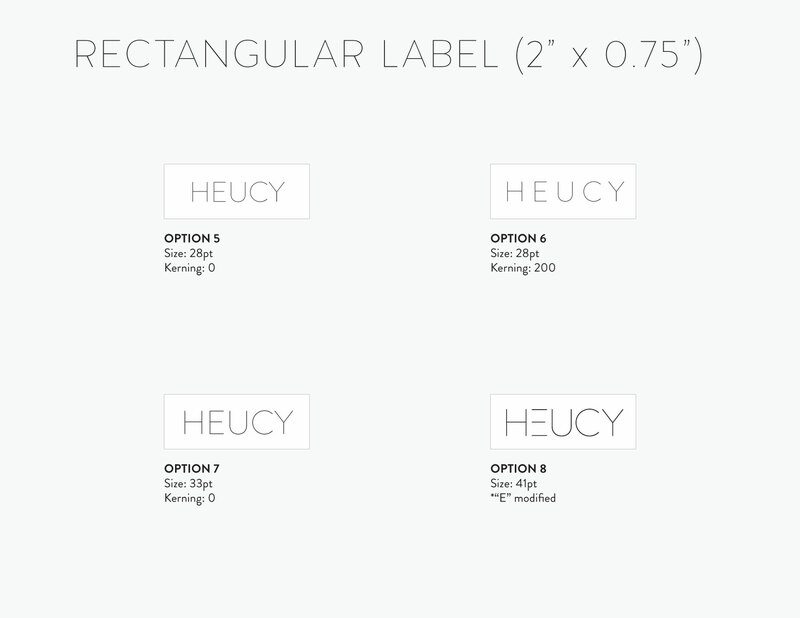 By building HEUCY I want to take everything I have learned and re-think and re-set the language of my design and create a more honest and transparent process. SIMPLIFY – but let me tell you, simplifying can actually be very complicated (hence this blog to chronicle the saga). The countdown portion at the top of this page is to make this as stress inducing of a process as possible. Who doesn’t love a deadline?